I have always had a love affair with food. Even as a kid, both my brother and I, were never picky about food. I guess we had Mum to thank for that. She was, and to this day is a fantastic cook. Given, now because of her health, she cannot do as much as she used to, back in the day. But when we were growing up, every meal was home cooked. I don't remember eating out till much later, when I was in college. Right from breakfast, through to lunch and dinner, snacks and desserts, she made everything. And a great variety of it too. I'm happy that now, I can proudly say, I try to do the same. I still have a lot to learn and experiment with, but I owe my love for cooking and good food to my Mother. 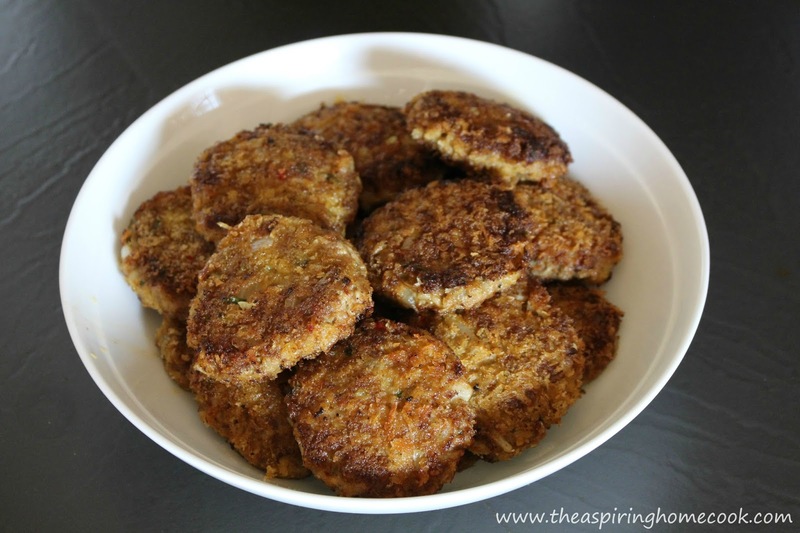 These Beef cutlets have got to be one of my favorite recipes. 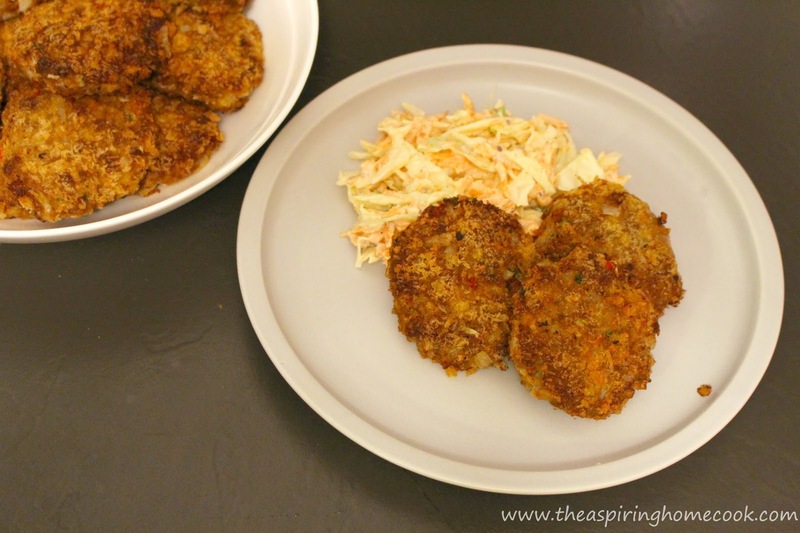 When we were kids, my brother and I would wait for Mum to make a batch of these cutlets at home. It wasn't made very often, but when it was, it was a real treat. I have, for the most part, stuck to my Mum's recipe, with just a few tweaks. 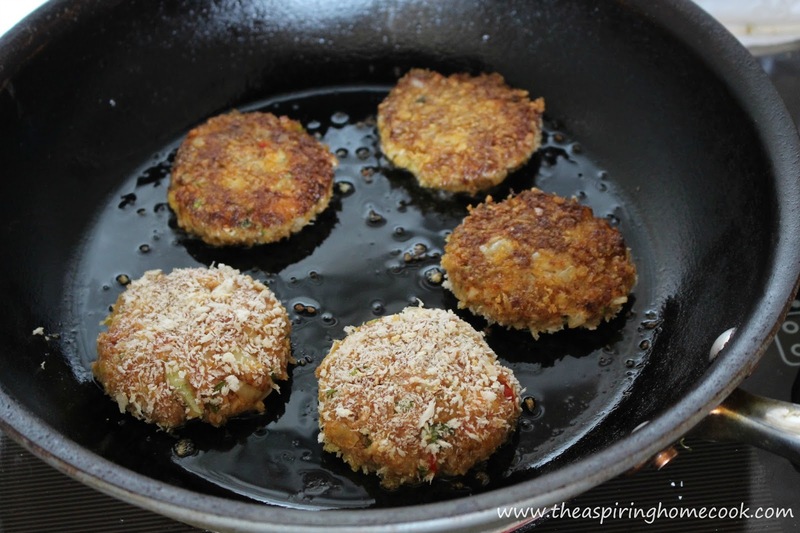 These cutlets are very versatile. Make them smaller in size and serve them up with some tomato ketchup or Barbecue Sauce as starters or Finger food, make them larger and use them as patties in Burgers or make a medium size and serve it up with some Mashed potatoes / Roasted potatoes / Fries and a salad . 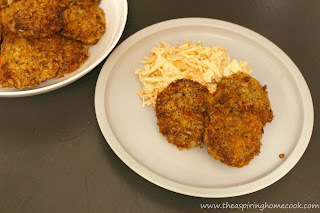 I have posted a beef cutlet recipe before, but that was a really long time ago. This recipe is the same, with just the addition of some Worcestershire sauce. I thought it would be a good opportunity for me to take some new pictures. After all, its been a long journey from 'My Hobbie Lobbie' to 'The Aspiring Home Cook'. I've also filmed a little video with some handy dandy tips too. I will link the video at the end of this post. Soak the slices of bread in water for a few seconds, drain out all the liquid and crumble. Mix together all the ingredients except the bread crumbs and vegetable oil. Make sure all the ingredients are well mixed and evenly distributed. Heat 2 tbsp oil in a pan. 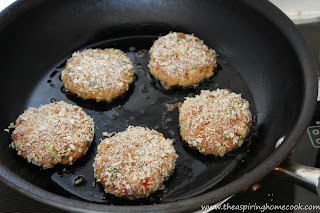 Carefully place the cutlets in the pan and let it cook on a medium heat till its done to your liking. Turn over and cook the other side as well. 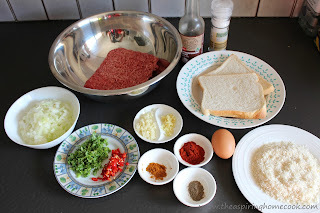 Repeat till you're done with the meat mix, adding more oil to the pan as and when you need to.